Walmart To Test Waymo Self-Driving Cars For Grocery Pickup Service Some customers in the Phoenix metro area will be able to use a driverless shuttle service to pick up groceries at Walmart — if they purchase them online. Waymo self-driving cars will be used to chauffeur "early riders" to and from their Walmart online grocery pickup location. The future is here and soon it will be toting grocery shoppers around Phoenix. Walmart and Waymo — formerly Google's self-driving car project — announced on Wednesday the launch of a pilot program that will allow consumers to make their grocery pickups with the help of an autonomous vehicle. The plan is simple. Participants in Waymo's "early riders" program will be able to take a driverless shuttle service to and from Walmart whenever they purchase groceries from Walmart.com using the retailer's online grocery pickup service. Current "early riders" will receive incentives to participate in the pilot and the rides will be provided with no additional cost, Molly Blakeman, a Walmart spokesperson, said in an email to NPR. 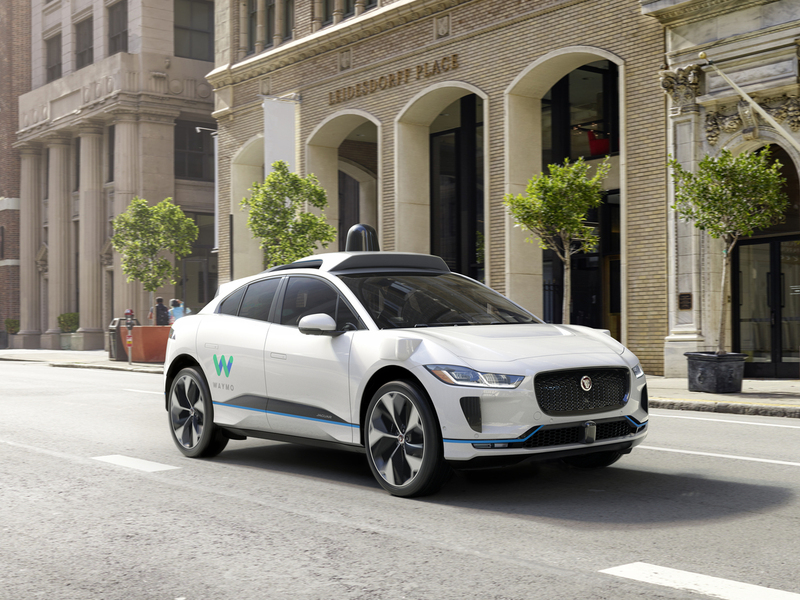 Waymo currently serves the Phoenix metropolitan area and through the program will collaborate with a single Walmart store located in Chandler, according to the release. The pilot will last for a limited time, Blakeman said.